Marcus Semien posted a strong sophomore year with Cal (.328/.400/.497), but then dropped off a bit in his junior season (.275/.371/.415), leading to the belief he may have struggled with the new metal bats. He is a solid defender, though it appears his future is at second base. As a pro he was challenged early, skipping rookie leagues and going straight to Low-A despite being just 20. He held his own (.253/.320/.376) and then took off at High-A Winston-Salem in 2012, posting a .273/.362/.471 line in 487 PA including 14 HR, and 55 walks. Semien broke out in 2013 with a dominant stint in AA Birmingham (.290/.420/.483), earning the league's MVP and promotions to AAA Charlotte and eventually the White Sox. He was solid in 32 games with Charlotte (.264/.338/.464), but struggled in his September call-up (.261/.268/.406). Semien is the opposite of many previous and current White Sox prospects in that he draws tons of walks and makes contact. Game power could be above average for either middle infield spot. Defensively he's got plenty of range for 2B/3B but that becomes marginal at SS. He's got plenty of arm for either middle infield spot. 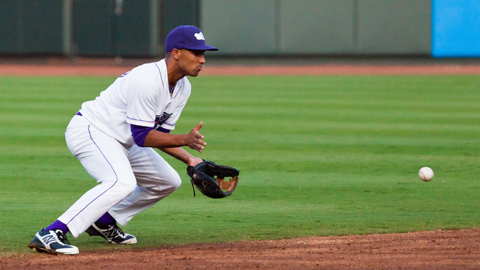 Glove work is good, footwork is sometimes unrefined at SS. He does have some speed, but isn't likely a big time SB threat in the majors. He has a future in the Majors, but his role is yet to be determined.